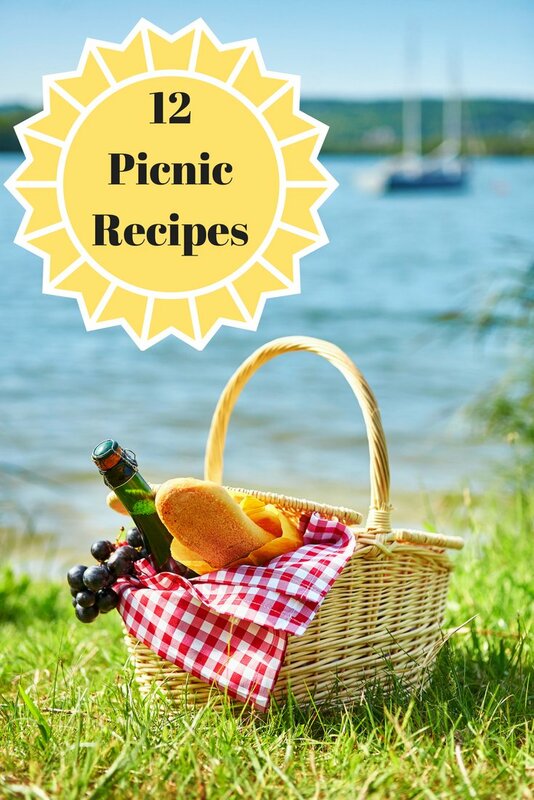 In this post you’ll find 12 delicious picnic recipes for any upcoming outdoor gatherings. Hi friends! Have you ever noticed how much better food tastes outdoors, especially when the sky is blue and the sun is shining? My blogging friends and I have rounded up 12 of our best picnic recipes right here, all in one place! Can we all agree on this? Picnics and BBQ’s are just plain fun whether they are in your backyard, the park, or a scenic vacation spot. I have many fond memories of our family getting up early on Saturday mornings and heading to the mountains. My mom would pack us a picnic lunch to enjoy on our spur of the moment trip. Living in the upstate of SC, we only had to drive about an hour to get to the mountains. What would have been an ordinary day turned into a special event by the simple acts of spreading out a blanket and pulling a picnic basket out of the car! But you don’t have to go to the mountains to enjoy your picnic! Simply firing up the grill and eating outdoors in your own backyard makes an ordinary meal a special event. Whether you’re looking for a main dish, a side, or a dessert, we’ve got your next outdoor event covered with our favorite picnic food ideas. 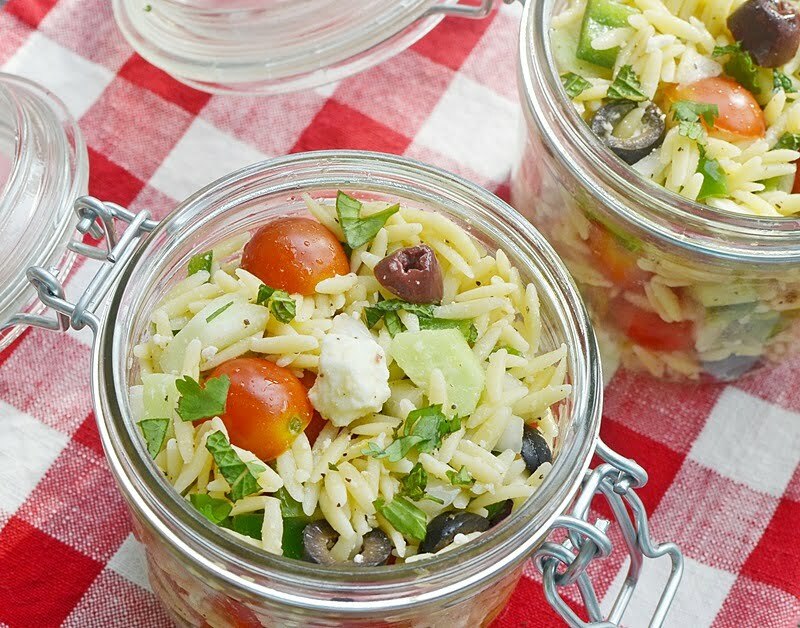 I’m sharing my Lemony Garden Fresh Orzo Salad that would be so easy to tuck into a picnic basket. Because there is no mayonnaise in the salad, you don’t even have to worry about keeping it chilled. And speaking of picnic baskets, look at this darling one that I found on (affiliate link) Amazon! My blogging friends and I, aka The Cooking Housewives, have linked up our favorite outdoor food. I can’t wait to visit all their posts to get more picnic ideas because these ladies can cook! 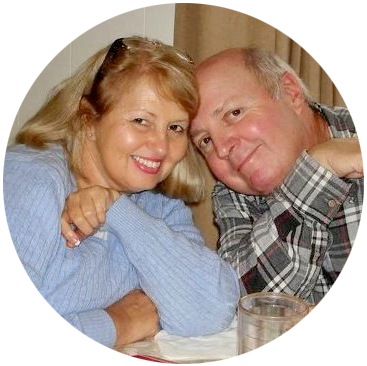 i love picnics…good food and good company. best thing ever. thanks for sharing your recipe Jane. 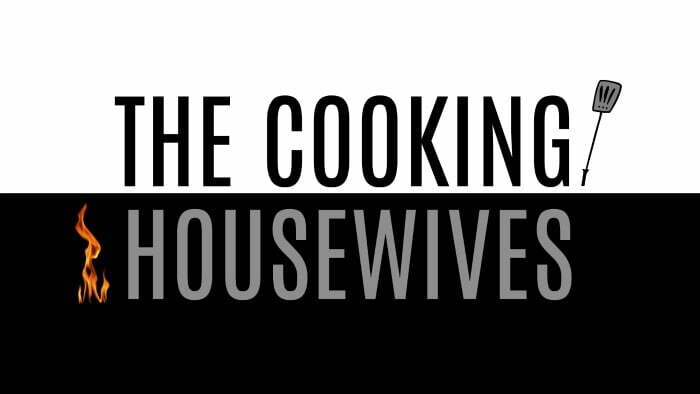 Loving this new series! The recipes look great! Yum Jane. All of these recipes sound so good. Thanks for sharing.